Article tourism and festivals Reviews. You can find about Article tourism and festivals Reviews. Khao Sok National Park, declared on December 22, 2523 called Khao Sok National Park, an area 645.52 square kilometers or 403,450 rai conditions generally hilly limestone complex. A vertical cliff, which is characteristic of many mountains of the region, which is similar to the mountain in Krabi. Khao Sok National Park. There are extensive areas of interest include tourism. 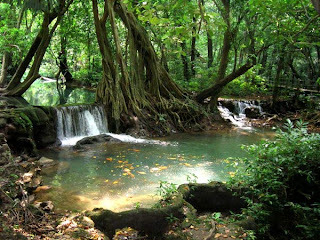 Dam began in the cave water through coral caves Mae Yai Waterfall Cave Waterfall big wild yam, water, and set several waterfalls. Please click to read details. Points of Interest link below. Dam began. Also known catchphrases that Guilin Thailand A tourist attraction the most prominent of Khao Sok National Park. The general view within the reservoir above the dam began. Very beautiful scenery. All of the visitors are impressed to see. Terrain is generally steep limestone hills surrounded by the vast waters. With the depth of water level Development organizations with the color of the Eaacrngngm beneath the dark water in the dam, like emerald. So many tourists think it is sea water. Topography similar to the urban landscape in Guilin, China That it has earned the title. Guilin Thailand In addition, the dam began to have a beautiful view then. Area surrounding the dam also has other exciting attractions such as water through a cave with a stream flowing through the cave and hiking to visit. Walking distance atmosphere within walking distance. Path is not very difficult. Cave coral is interesting and easy to access without a long walk through the water like a cave. Another vantage point is a point of interest. On the hill climb, which will be hiking up to the point of view when looking down to see large and small islands in the area surrounding the reservoir. Location: Khao Sok National Park. In the province of Surat Thani. Territory covers an area of high hills. In Surat Thani Province to Amphoe Takua Pa, Phang Nga Province, according to National Highway No. 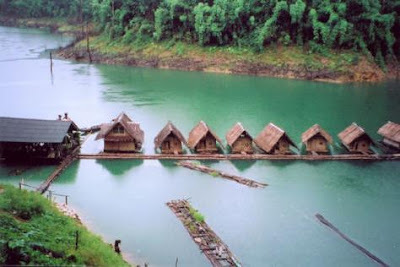 401 Khao Sok National Park is divided into two major areas, namely Chiew Lan Dam or the dam began. 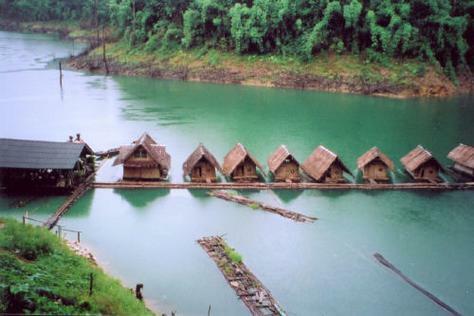 It is located at 57-58 km along Highway 401 for another 51 km away is the Khao Sok National Park Headquarters. It is located at km 109 on the same street. 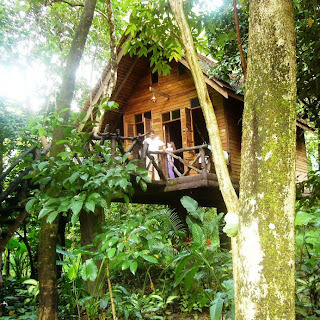 Khao Sok National Park was originally the only area where the forest. And it came after the Electricity Generating Authority of the many rapids in the dam to generate electricity makes some forest areas into water storage dams. 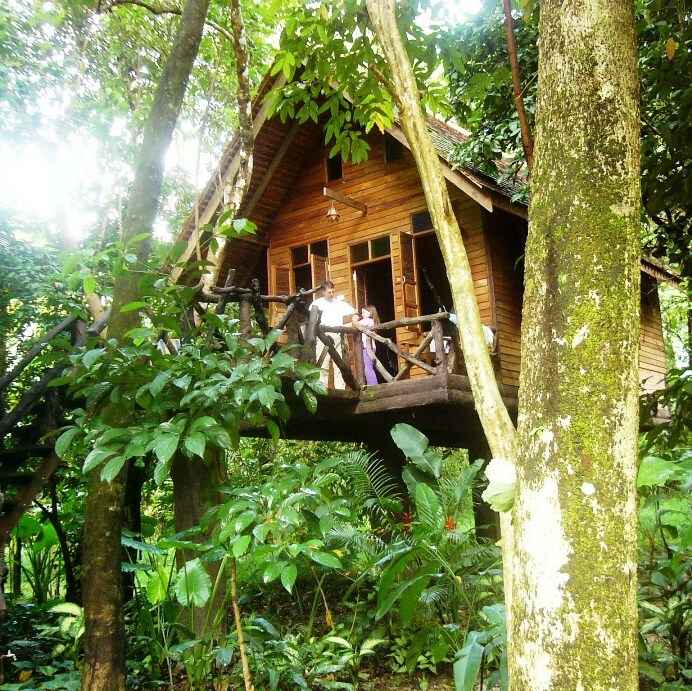 And is in the care of Khao Sok National Park area. 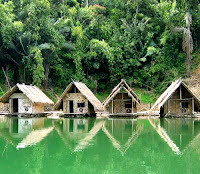 Attractions of Khao Sok National Park Travel characterization according to two types of space travel by land. Or hiking, and river tour. Or cruise over the scenic tourist area of the dam bed pad both of these is located approximately 51 miles on highways or 65 miles from the dam. Travel by land or main activity is hiking around the area. Khao Sok National Park, located 109 km or the major tourist attractions such as waterfalls, which may affect the river flow in the canal era of the hierarchical layers. Falls to the number of tourists to explore on foot into Or so called trekking Khao Sok Khao Sok also hiking to waterfalls, then. The highlight here is the lotus flower, a pop-large. It is said that the world's largest. Are scattered in many areas. For this disc he found that there are several points of pop lotus flower and bloom and so on rotation from the beginning of the season until late summer. Because spectators than for other areas. Make him famous disc in terms of tourism activities, hiking watch lotus Pop and a lot of tourists to visit each other, both Thai and foreigners. River tour. Tourism is the reservoir above the dam began. That said, the water here because we have to take a boat to various tourist activities and travel over the dam, including the dam. Scenic boat rock islands. 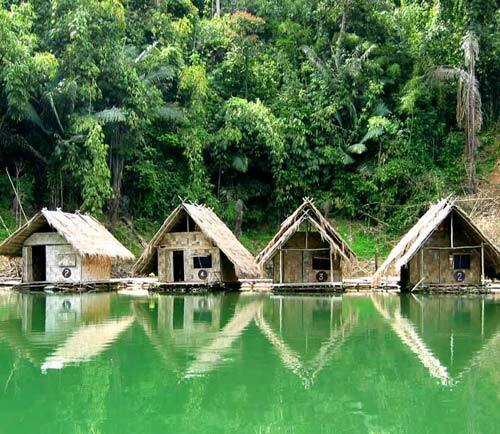 Or Guilin Thailand Boat sleeping pad natural atmosphere surrounded with water and mountains, canoeing, fishing, swimming, boat to coral cave. Mouth of the cave by boat through the water, then walk to the cave. Sit ambush see a lot of hornbills in the forest of this I personally have never found hornbills frequently Visitors take a walk in the forest. Once the crowd had found one to 12 characters even though the dam will see a boat trip to see the events, but hiking is a hiking trip through the cave water. The trails interesting. Walking is a natural shade. Walking along the path to walk through shallow streams, many fish in the clear water streams is much Marsh areas along the stream, it usually comes down to eat a butterfly Pong to see every time you go. A lot of Thank for your comment. Forbidden City, the beautiful Chinese art.